Thank You this is very nice! Is there a way to download the demos as a single . Re: Demo \ Replay Support? 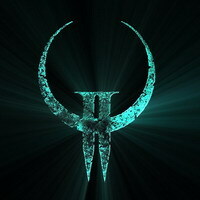 Hello, Does anyone know if Quake Champions will have Demo or Replay support? Thank you for these demos! Hello, Here are a few high-res screenshots from GamesCom 2016: http://cdn. Please, could you provide us with the QuakeCon2016 Demos and Cfgs? Please somebody upload the demos. Even the casters demo would be awesome!